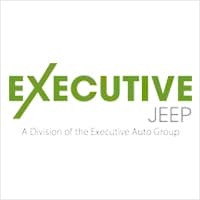 At Executive Jeep®, providing our customers with incredible Jeep SUVs in North Haven and Branford, CT is our passion. Whether you’re looking for a rugged Jeep Wrangler or a sleek Jeep Compass, we have exactly what you’re looking for with a great price as well. Many of our Jeep models come with four-wheel drive (4WD), while a few come with all-wheel drive (AWD). Both these systems are effective in varying weather and road conditions, but there are some differences between each. AWD is a system where power is apportioned to the wheels that need it the most. This makes all-wheel drive desirable to those who live in areas that experience rough weather conditions or want better handling and control in their vehicle. 4WD is similar in that it also delivers strong performance in poor weather conditions. However, it usually incorporates two differentials and a transfer case, and it can be turned “on” and “off”. 4WD systems are designed to better handle rugged road conditions, which is why you’ll find 4WD available primarily in new Jeep SUVs designed for off-roading. A 4WD system is considerably heavier than an AWD system, so you won’t see 4WD on any vehicle smaller than an SUV. Being of lighter weight, AWD is prevalent on many different sedan types as well as on a variety of crossover SUVs. 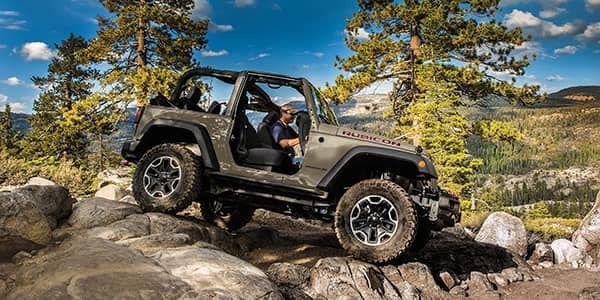 If you’re planning to go off the beaten path and tackle rugged terrain, a 4WD vehicle like the 2018 Jeep Wrangler is an excellent choice. This durable SUV is designed to accommodate a 4WD system’s weight and thrives in a variety of road conditions and environments. Another good choice for a 4WD vehicle is the 2018 Jeep Grand Cherokee. On the flipside, if you don’t plan on leaving the pavement, but you desire enhanced traction and handling, AWD is the way to go. SUVs like the 2018 Jeep Renegade and the 2018 Jeep Cherokee are terrific picks for AWD-equipped autos. For more information on AWD and 4WD and exactly how they operate, be sure to contact Executive Jeep today!